Effective web development today involves more than building a sharp-looking site. Understanding how to build a site that Google can find, index and rank is vital. Google’s current mission is to provide search users with a good user experience on all platforms—especially mobile devices—and valuable content. 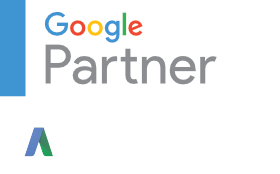 Google rewards site owners who support their mission with higher ranking and penalizes those who don’t. To give your site the best chance to rank high, attention to a mobile friendly user experience and filling it with relevant, valuable content are important. An experienced web developer will understand the technical best practices that will enable your website to be crawled and indexed by search engines. Page loading speed is also an important consideration—particularly for the mobile experience– when building a website. A site that loads slowly is not one that Google considers a user friendly experience. At Inner Architect we are a rare breed whose web development team has both an eye for design and technical chops. Because we are a full-blown marketing agency that focuses on more than just website development, we bring in our marketing strategists to help design the usability and call-to-action features. Your website will get developed through the efforts of a marketing team—not just a single web developer or designer. Our founding partners have been developing with WordPress since early 2007. A powerful and user-friendly content management system, WordPress is now used by 27.4% of all websites, a content management system market share of 58.5% as of January 2017, according to W3Techs. Is Your Website Friendly Enough for Google Search? In May 2016 Google rolled out its mobile-friendly algorithm said to give an additional ranking boost for mobile-friendly websites in the mobile search results. This followed the release of a new algorithm in April 2015—“Mobilegeddon”—which favored websites that are mobile friendly overall. If your business has yet to update its website to a mobile responsive design, now would be a good time. To learn more about how your website stacks out in mobile, user experience and value, contact Inner Architect for a free consultation.